Saturday evening at Boskone is one of the highlights of the con with a concert by the Featured Filker (this year it’s Bill Roper! ), the Skylark Awards and more. 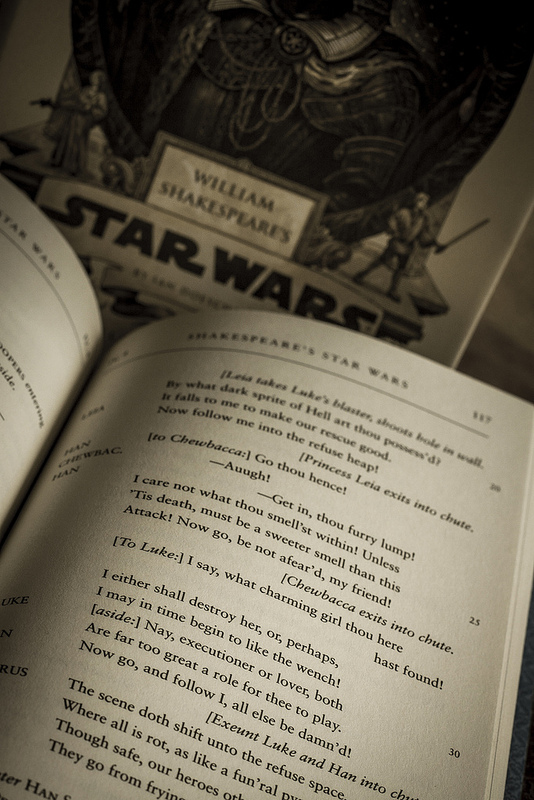 This year has an extra special treat: a reading of the Reduced William Shakespeare’s Star Wars starring Jane Yolen, Bruce Coville, David G. Grubbs, David Palumbo, Kate Baker, Bob Kuhn, Mary Crowell, Darlene Marshall, Joan Slonczewski and a cast of about 10. Check out an excerpt of the play posted on Slate or listen to the audiobook sample from the book’s Amazon page. The show is adapted and directed by Laurie Mann and expected to run from 9-10:45. This entry was posted in Boskone 51. Bookmark the permalink.